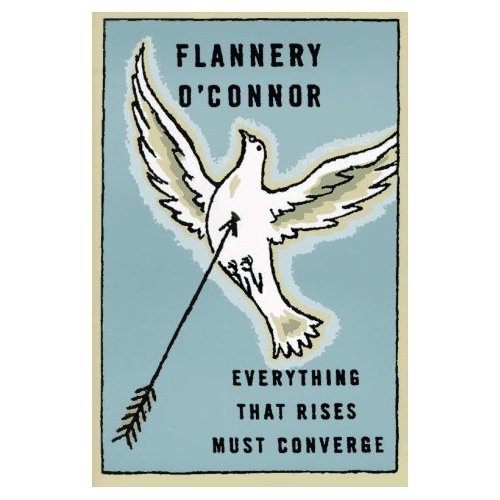 Everything That Rises Must Converge is a story in Flannery O’Connor’s book of the same name. It is a tale of nostalgia, prejudice, relationships, superiority, resentment, and ultimately, the space between people who perceive the same thing differently. The title is a quotation from Catholic theologian Pierre Teilhard de Chardin, who imagined an â€œomega pointâ€ at which the â€œrisingâ€ or evolving human being would meet God. I see the rising as a metaphor describing the struggle, debate and entanglement of the many different strands and tendrils of thought, belief, and action over what it means to be Catholic. And, at the end, where the distances close as we all meet in God. The debate over Catholic identity has exposed two extremes in Catholicism: what author and scholar George Weigel calls “Catholic lite,” meaning a form of faith sold out to seclarism; and what analyst and correspondent John L. Allen, Jr. terms “Taliban Catholicism,” meaning an angry expression of Catholicism that knows only how to excoriate and condemn. In recent days there has been a very public exchange between Thomas J. Tobin, Bishop of Providence, Rhode Island, and Sen. Patrick Kennedy, D-Rhode Island, over the senator’s support of an amendment to the health care bill before Congress. The amendment addresses public financing of abortions. I cannot fault the bishop in the points he raises about being a Catholic and the questions he poses to Senator Kennedy publicly. In his role as teacher and pastor he should do so. However, what I am uncomfortable is the reduction of anyone’s Catholic identity to one issue – abortion. It seems to me that “pro-life” Catholics –bishops included–need to have the same unwavering commitment to feeding, clothing, housing and educating children and young adults; and keeping them out of wars and death row prison sentences. In a 2006 study by Elizabeth Oldmixon and William Hudson – When Church Teachings and Republican Ideology Collide: The Perspectives of Catholic Republicans in the House of Representatives, a sampling of Catholic Republicans justified not supporting Catholic Social Teaching by seeing its application to most domestic social issues as less authoritative than Church moral teachings on issues like abortion. On March 10, 2006, the U.S. Conference of Catholic Bishops issued a “Statement on Responsibilities of Catholics in Public Life.” The bishops were very firm and unqualified in their oppositionto abortion, but their remarks were not limited to this one issue. 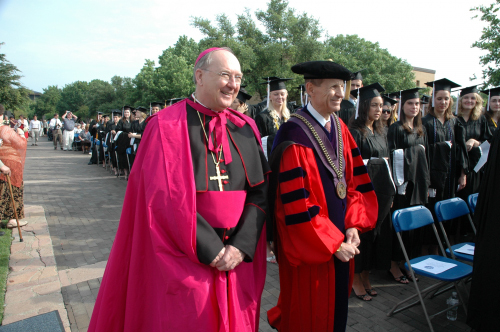 I really liked what Kevin J. Farrell, Bishop of Dallas said in his May 17, 2009 commencement address at the University of Dallas, an independent Catholic University in Irving, Texas. “If and when others may disagree or have a different approach or have a different slant on Catholic teaching or belief, honest debate, not confrontation, true dialogue, where we seek to understand the other, not facile condemnation, should be the overreaching way we move forward together,” he said in his address. This type of stuff explains why I am no longer a Roman Catholic. And, believe me, I feel none the worse for it. When the Church gets real I may take another look at it, but have absolutely no interest in getting involved in it. 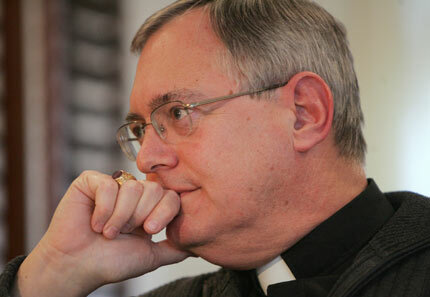 The magisterium is a flexible concept, defined and invoked by the Church according as it suits it. The author should have left out Flannery O’Connor and de Chardin. He never ties them in to what he wants to say about the church. Apparently he feels the connection is self evident. It s not. Is O’Connor’s “covergence” the same as de Chardin’s, or is she being ironical? The author seems to be interpreting the bishop’s words to mean that precise definitions are not helpful and that people of good will shall progress well enough toward de Chardin’s omega point without them. But this is certainly not the kind of convergence we get at the end of O’Connor’s story. I understand the bishops words, but the author would improve his article by telling his readers what it is he concludes from the bishop’s speech and how this relates to O’Connor and de Chardin.